Youth Climbing Series (Y.C.S.) is a “choose your own adventure” style of event. 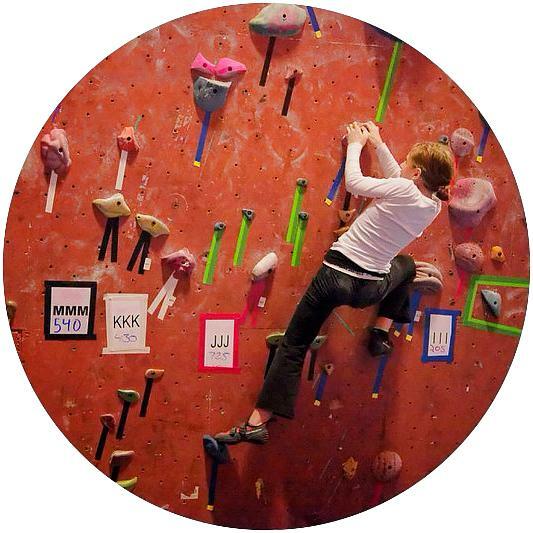 Climbers can opt to just boulder, just top rope, or do both plus many more mini-events! The more tasks a climber completes, the more he or she will earn in prizes. Y.C.S. is a great opportunity for climbers to show off the skills they’ve learned in class and meet other youth climbers in the PRG community. climbers will be given a scorecard of tasks to complete around the gym (Think “BINGO!”). Climbers will move at their own pace from station to station and participate in the activities they choose. Climbers will be rewarded based on the extent to which their scorecard is completed. Climbers will be able to boulder, top rope and participate in an array of other fun climbing-related activities. Climbers will be able to try climbs as many times as they please! Whether you’re looking to move towards competitive climbing or are simply looking for a fun day in the gym, to make new climbing friends or to show your friends & family all that you’ve learned, Y.C.S. is an event you don’t want to miss! Former or current Youth Program participants, call 877-822-7673 to register today! 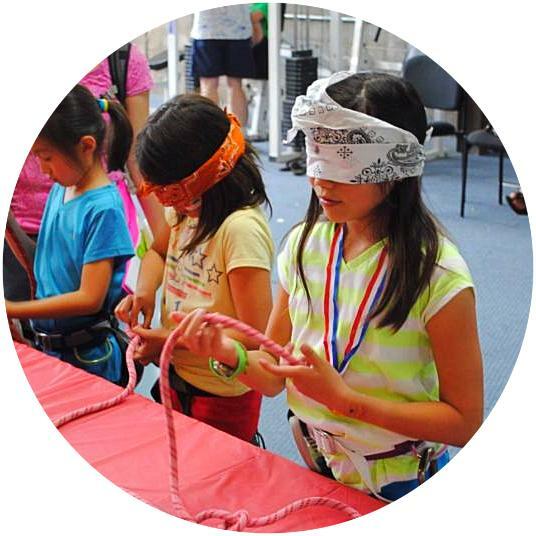 Do you think you can tie your figure-eight knot blindfolded? How high can you dyno? Put your skills to the test! Any current or former Kinder Climb, Kids Climb, Advanced Kids Climb or Club Team climbers between the ages of 4 – 15 years old are welcome to register and participate. Annual Pass holders have 1 free admission to YCS per year to use. To sign up using your free admission, email our Youth Program Director at kids@philarockgym.com. How do I sign my child up for YCS? All four 2017-18 YCS event registrations are currently open. To pre-register (and save! ), please call our staff at 877.822.7673. Do we need to bring our own climbing equipment? No. Equipment rentals are included in the cost of YCS. Because climbing involves the practice of specific safety procedures, YCS is a closed event open only to former or current PRG Youth Program participants (Kinder Climb, Kids Climb, Advanced Kids Climb and Club Team). Friends are welcome to attend and cheer on the climbers. Do parents have to stay for the whole event? Parents are not required to stay during the event but we highly encourage friend and family to come out and cheer on the climbers! Parents dropping off are expected to pick up their child by 4:30 PM. YCS offers two formats for climbers to choose from. The “Bingo” format is a completion based event (not necessarily competition based). Climbers are rewarded based on how much they do or how much they complete in the allotted time given rather than being ranked against other participants. The other format is a “Redpoint” format which is designed to encourage climbers to earn the highest score they can during the allotted time given. Climbers are then ranked in their own category by score. This is a great option for experienced or advanced climbers. Regardless of which format your child chooses, YCS is designed to help your child track his/her goals and accomplishments throughout the event and learn basic competition strategy simply by participating. The beauty of a YCS event is that it can be treated as competitively or as recreationally as desired. For climbers pursuing Team PRG and want to participate in PRG’s Burn Series, this is a great first step. Will coaches be at the event to help my child? Absolutely. PRG coaches will be in attendance to help run the stations, regulate and monitor climbing, perform safety checks, offer guidance and reward climbers for their achievements. Can my child attend this event to try and level up to the next belt color/skill level? For the first time ever, YCS will be giving climbers a chance to formally take their belt tests. Kids who are unable to attend YCS will still find out their belt level achievements and goals on the last week of classes each session. YCS allows climbers another opportunity for growth and advancement in the sport! What does the belt test format look like? Climbers will be given a specific “BINGO” scorecard for the particular belt level they are choosing to test out of. If the scorecard is successfully and totally completed by the end of the designated climbing time, students will be able to move on to the next belt level with their coach’s final approval. Does my child have to undergo a belt test in order to participate in YCS? No! There is something for everyone at YCS. Climbers who are in between levels or who just want to have fun and not feel pressure at the event can use the generic “BINGO” scorecard to navigate their way through the event. Generic scorecards are designed to be applied to your child’s specific level no matter what their currently level may be.